Pasture grass and hay are the staples in a horse’s diet. There are two types of hay: grass hay includes meadow, timothy, brome and oat hay. They are perfectly adequate for most horses. Legumes include alfalfa and clover; they are generally higher than grasses in protein, minerals and other nutrients. They are recommended for high-performance horses and broodmares. Hay is often a mix of the two types; for example, 70% timothy and 30% clover. Hay should be green, sweet-smelling, and not more than one year old. If you can’t find high-quality hay, or if your horse has a problem such as allergies or a cough, try cubed hay, available at most feed stores. If you give your horse cubed hay, dampen it a bit to make it easier to digest. 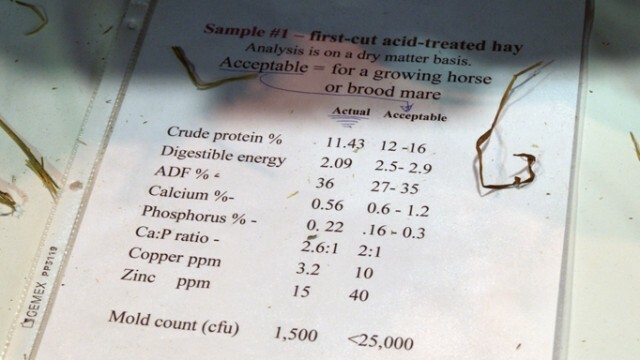 An adult horse that is not working can get by on good quality pasture or hay alone, but a horse that is working regularly, a lactating mare, or a growing foal usually needs additional protein and energy. 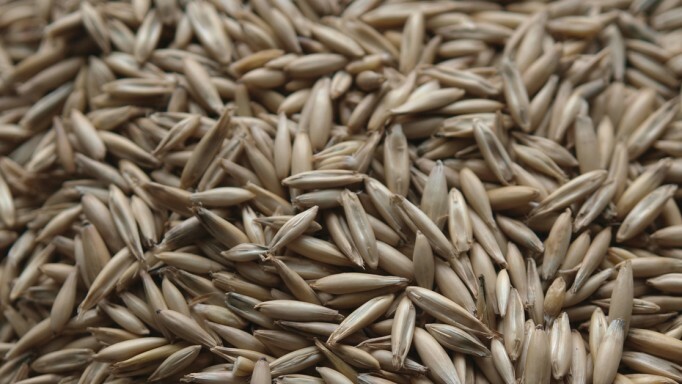 The most common grains given to horses are oats, corn and barley; rice bran feeds are also starting to get popular. They may be fed whole, but are easier to digest if they are crimped, rolled or crushed. Most complete feeds (sweet feed, pellets or chunks) contain a combination of grains, molasses, and a supplement of vitamins and minerals. Extruded feeds have been cooked under pressure, making them easier to digest and reducing the chance of allergic reactions. Mix everything together, cover with a towel and leave until it is cool enough to eat. 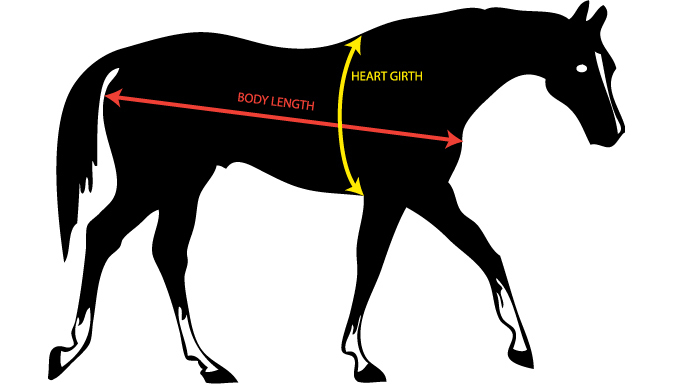 If you want to give your horse a treat go with apples, carrots (cut lengthwise or not at all), or a commercial product such as Purina’s Apple Chunks. They may be more expensive than a good old sugar cube, but they’re much better for your horse’s health! Put a salt/mineral block in your horse’s stall or pasture to stimulate his appetite and help his body retain its water, especially in hot weather. Add 250 ml (1 cup) corn oil or vegetable oil to your horse’s feed each day to aid digestion and give him a healthy, shiny coat. Add sugar beet pulp soaked in water for at least an hour (5-6 parts water for 1 part beet pulp) to your horse’s feed to help him gain or maintain weight. 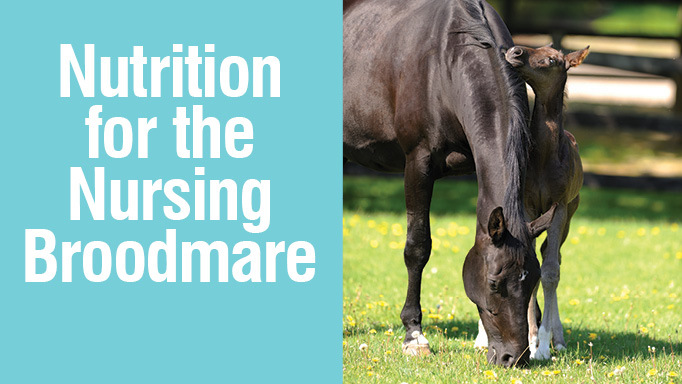 A performance horse, a lactating mare or a growing foal may benefit from a vitamin/mineral supplement. There are many, many products on the market; speak to your vet or an equine nutrition specialist for advice on this subject, or for answers to any other questions you may have. 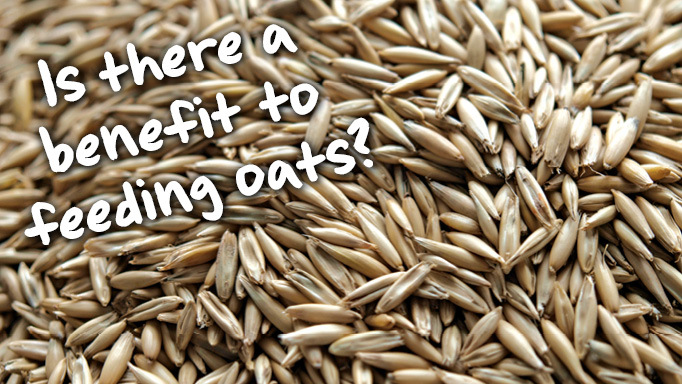 Find out which feeding beliefs have a grain of truth to them and which are myths.